Back in 2007-2008, Twitter was just beginning to explode on the social media scene and back then you could almost count on one hand the number of people using and engaging on Twitter. Periodically, a group of early adopters of the service would meet up at outings called Tweetups to network and put a face to our online personas. That was where Bruce first met Chris and several of his fellow partners and co-workers from Yardstick Software. Over the years, Bruce had the pleasure of working with Chris and his team to do some commercial photographer for his company and some campaign photos when Chris ran in the provincial election. Fast forward almost 10 years and we were thrilled when Chris told us he had met this beautiful Irish lass while working out in Toronto and was getting married and wanted us to document their day. And what a great day it was. 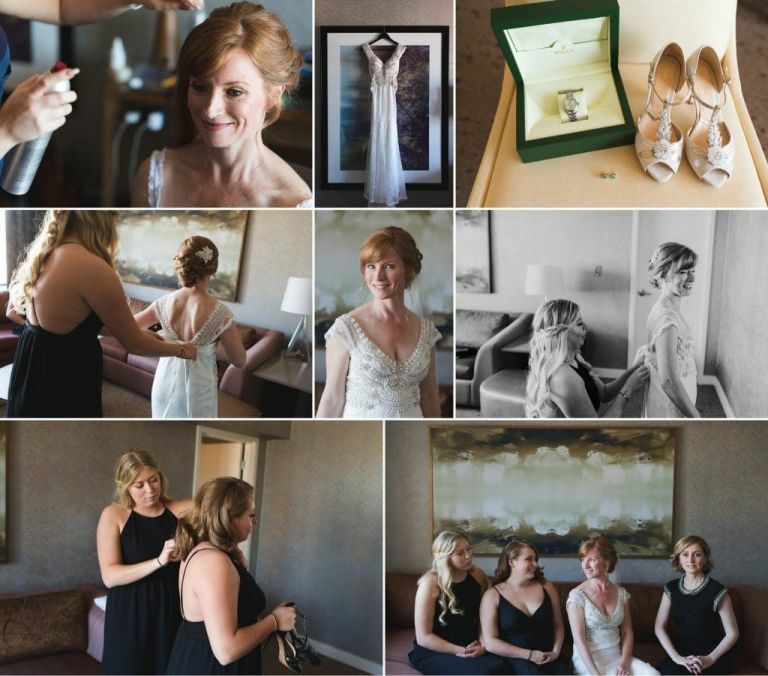 Lisa, her maid of honour and Chris’s two daughters all got ready at the Westin Hotel with the help of the team from Blush Artistry. Meanwhile, all of the boys (also known as the Association) gathered at one of the groomsmen’s to get into their wedding finery. 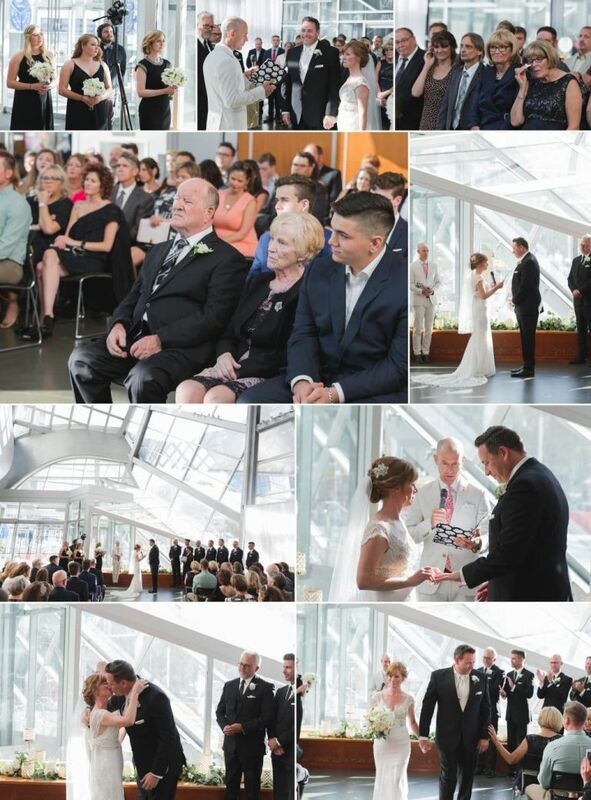 From there it was off to the Art Gallery of Alberta for their ceremony and reception. 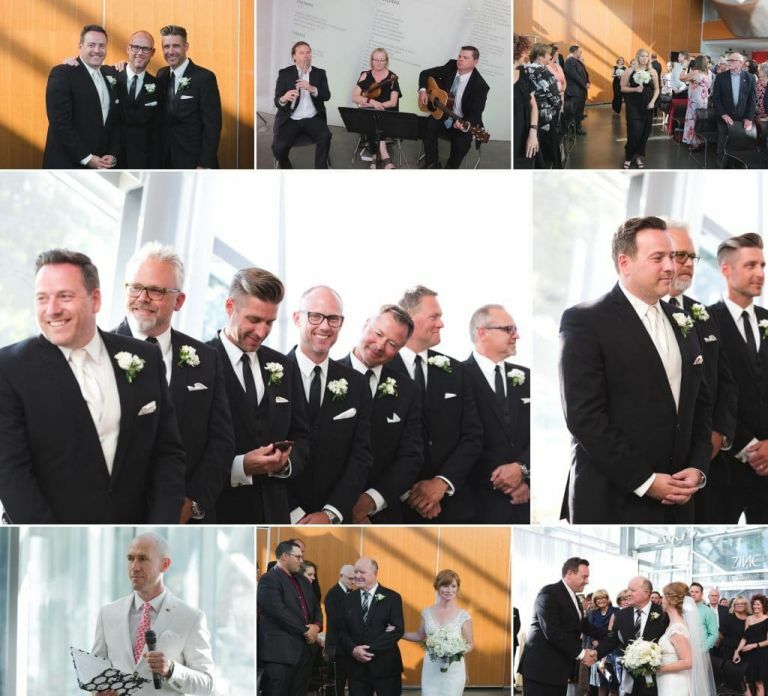 In addition to having a JP preside over the ceremony to make it all official, Edmonton storyteller Todd Babiak conducted his first ever wedding ceremony and did and amazing job telling Lisa & Chris’s story. After the ceremony, we explored downtown Edmonton with the wedding party and then sent them back to the AGA for cocktails while we photographed Lisa and Chris around the new Royal Alberta Museum which is scheduled to open in 2018. Their reception was a blast which featured delicious food from the culinary team at Zinc, dessert from The Art of Cake, and some great Irish dancing courtesy of some of Lisa’s family members. 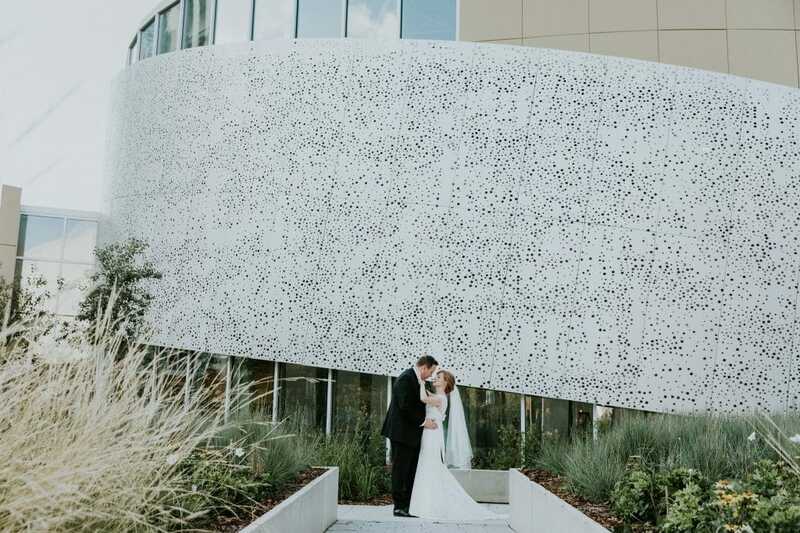 Enjoy this sneak peek from their big day! Special thanks to Maggie from MB&Company for all of your tireless work and keeping us up-to-date in the months and days leading up to Lisa & Chris’s special day. 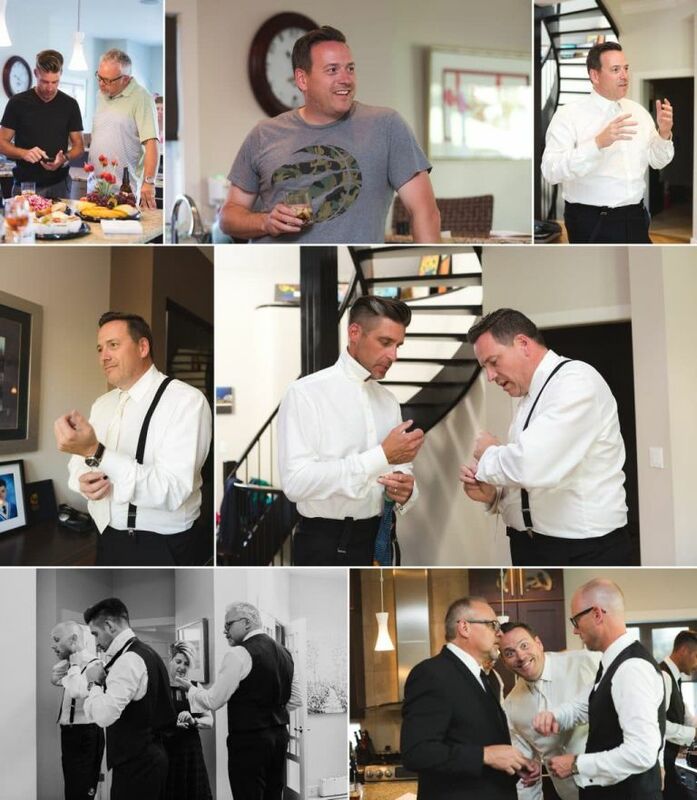 Thanks to all the other great vendors who were involved in Chris & Lisa’s big day. We enjoyed working with all of you either directly or indirectly to bring their day to life.